bmi regional has today announced the addition of nine UK routes to its network, thanks to a new code-share agreement with sister airline Loganair. Both airlines are owned by Airline Investments Group. Kay Ryan, Loganair’s commercial director said: “We’re pleased to reach yet another major code-share agreement, further enhancing the choice of destinations available through the airline’s network. 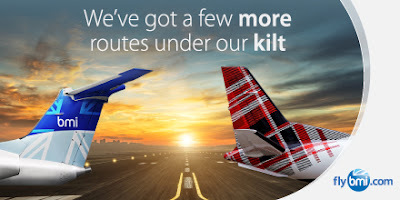 These will significantly increase convenience for passengers of both Loganair and our sister airline, bmi regional – enabling travel between multiple destinations on a single ticket.